Hotel Kawakyu is a building that towers over Nanki-Shirahama adrift in the exotic that will make one think of a medieval European castle. The thoughts of various architects, painters, and other experts of crafts and skills from other parts of the world have been set into this building. View the ocean, surround yourself in art, and satisfy your palate with gourmet meals. It's the kind of luxury resort where you can fill both body and mind by spending time soothing yourself here at the hot springs. 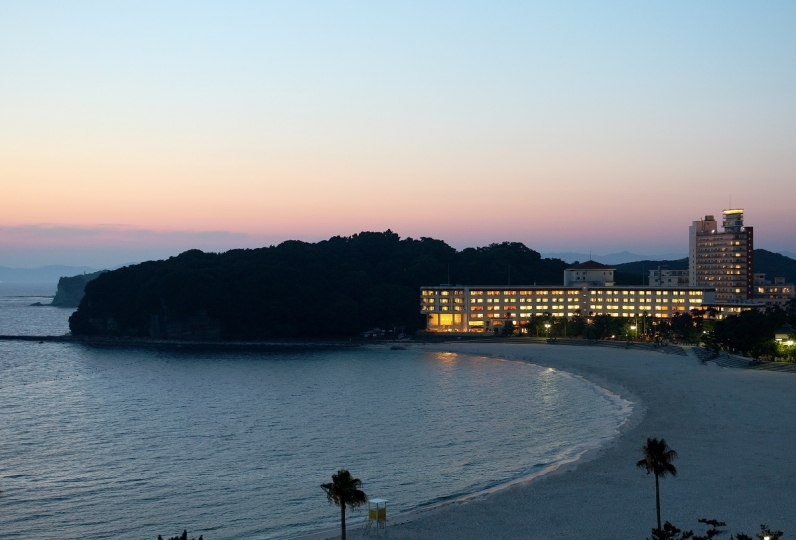 In Shirahama fashion all guest rooms are ocean view suites that reverberate with the background sounds of the small waves in the sea. 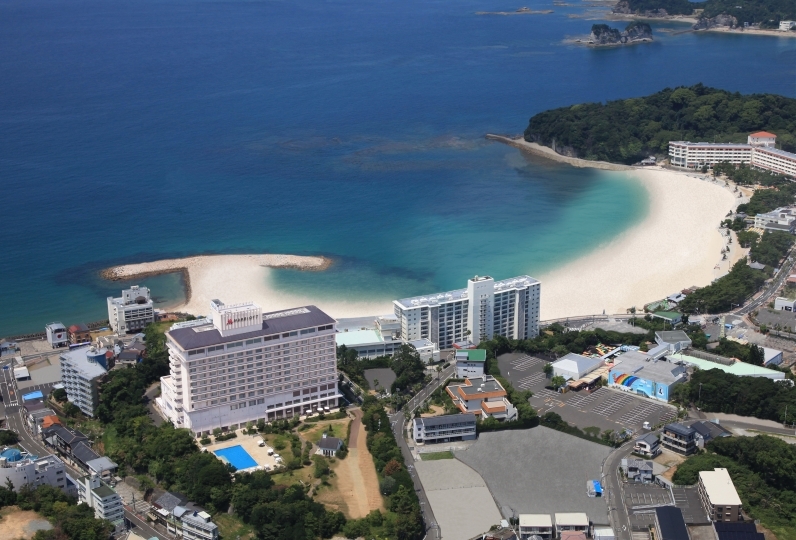 One may relax in the comfort of any of the spacious 74 rooms ranging from 60~247㎡. We hope you have an elegant time. 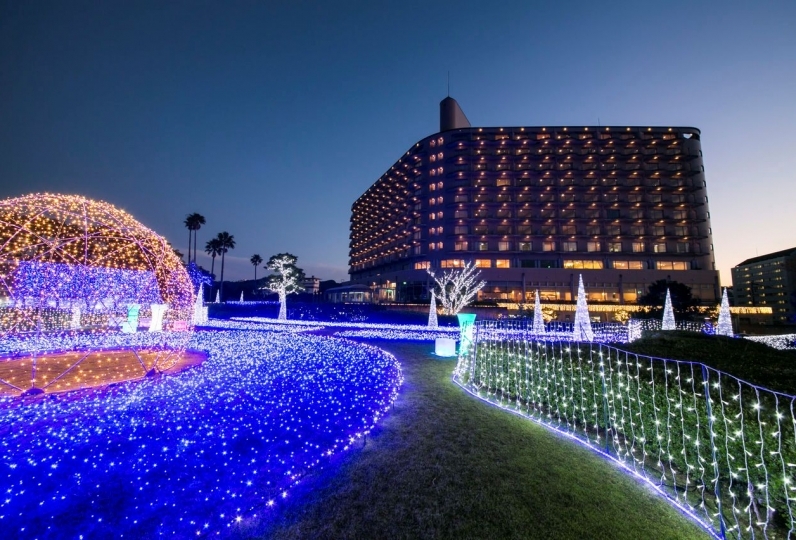 "Shirahama no Yu" is one of the three largest and oldest hot springs of Japan. The indoor spa and outdoor spa "Shifu", that uses Takano yellow plum pine, and "Yusai", that uses domestic granite, will also fill ours hearts. The special element that fills the heart is also contained within the food. Local seasonal Wakayama bounties from the mountains and sea are used liberally to create masterpieces. We hope you enjoy the pride of our hotel's breakfast: the popular "King Buffet". Please look forward to experiencing the extraordinary surrounded in art that seems as if it is stolen and forgetting the mundane. The food, especially dinner, is as luxurious as it is. I would also recommend it to friends and acquaintances. All the staff at the hotel were nice and smiling. I would also like to stay at the anniversary. Thank you very much. It would be nice if you could choose Japanese and Western buffet meals for breakfast. The spas of "Shirahama Onsen" is one of three oldest hot springs in Japan (Arima, Dogo, Shirahama). We hope you enjoy a rejuvenating time soaking in these spacious famous hot springs. 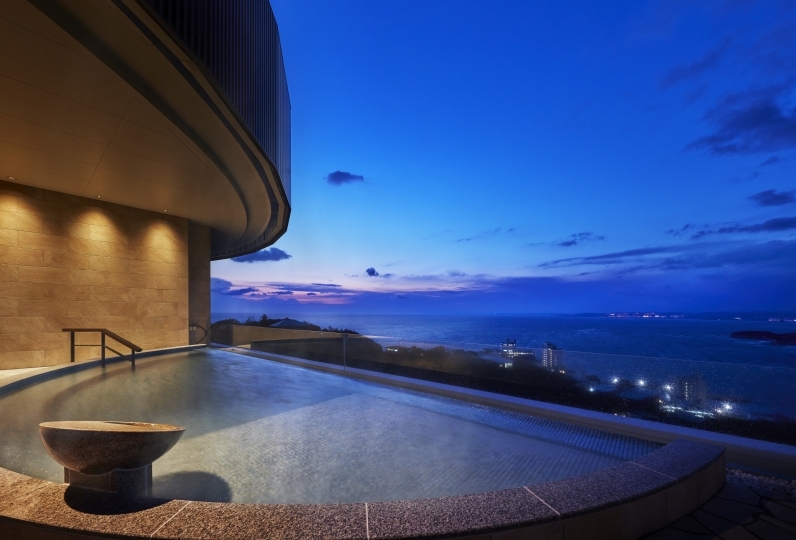 The spa "Shifu" was made with Takano yew plum pine and "Yusai" is made of domestic granite. Besides these two thematically different indoor spas, there is also an outdoor spa. A library lounge with view of Tanabe Bay. In this space with an impressive Venetian glass chandelier, one may enjoy various soft drinks, alcohol, and original sweets. With origins from the king's palace in Java, starting with the traditional all-hand massage "Balinese" and the "First-Rate Aroma" that uses five kinds of essential oils blended to the wishes and the condition of the guest on that day, there is a full beauty and health menu prepared. An indoor pool that uses an easy-on-the-body purifying ozone cleanser. The sauna that you can enter in your swimsuit and the Jacuzzi with a good outlook are side-by-side. A brick wine cellar created in the image of a medieval European library. Wine books and antique wine tools from 100 years ago are on exhibit. In the cellar the temperature is 12℃～14℃, humidity is kept at 60%, and over 5,000 bottles of precious vintage wines and original wines are regularly kept in storage. ※One may observe with a prior reservation. ・This plan does not include the bath tax of 150 yen. ※From JR Shirahama Station, approx. 10 minutes by microbus or taxi.